It does. But don’t try to look it up because Merriam and Webster had a fight last night and the site’s down. Don’t you just love risotto? I could snarf it year round, but I especially dig it during the fall, because of the comfort, starchy glee it unloads. And this risotto? Gewd Lawd. Aaron had picked up some unbelievable bourbon apple sausages from a local butcher. We’d snatched some gorgeous brussels sprouts at the farmer’s market. And of course with our ever-growing pile of sundried tomatoes, and leftover weekend wine (blasphemous, right? ), risotto it beeee. The principles for preparing risotto are the same across the board, but the final dish can yield some mighty different results. Do you prefer your risotto creamy and soupier? Do you prefer it thicker and stickier? Do you leave it simple with only a heavy hand of fresh parmesan and dollops of butter? Do you pack it tight with meats, veggies and herbs? It’s yo’ thang. Do what ya wanna do. And honey, I can’t tell you, who to sock it to. But I can tell you that I jam-packed mine. Jam-packed her good. Listen, these flavors are going to change the direction of thy soul fairies. Get some good flavored sausage or you’ll regret it for the rest of your life. Roast up some sprouts. Creamy up some rice. Finish that wine because, really, leftovers? Embarrassing. Preheat oven to 400. 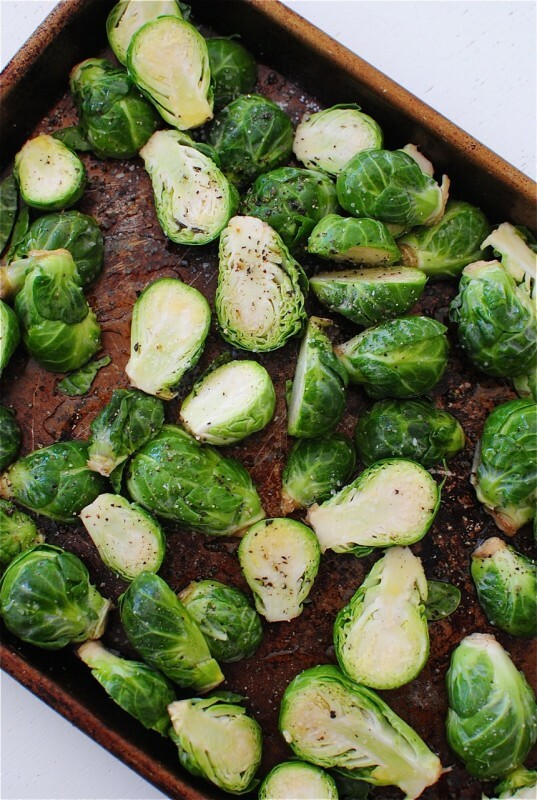 Place the brussels sprouts on a rimmed baking sheet and drizzle with a Tbs of oil. Season with salt and pepper. Roast for 30-40 minutes, until tender. In a large sauté pan, add a Tbs. of oil, and the crumbled sausage. Over medium-high heat, brown all over, then remove from the pan. To the pan, add the rice. Toss to coat with the browned bits. Add the wine and deglaze. Pour the stock in a smaller saucepan, and keep on a medium-low heat. Ladle about a cup of the stock into the rice. On a medium-low heat, let the rice slowly absorb the rice, adding more stock in small amounts until the rice is tender and creamy. If you run out of stock and need more liquid, add 1/2 cups of water until the rice is tender, yet still a little toothy. Off the heat, add the butter and cheese. 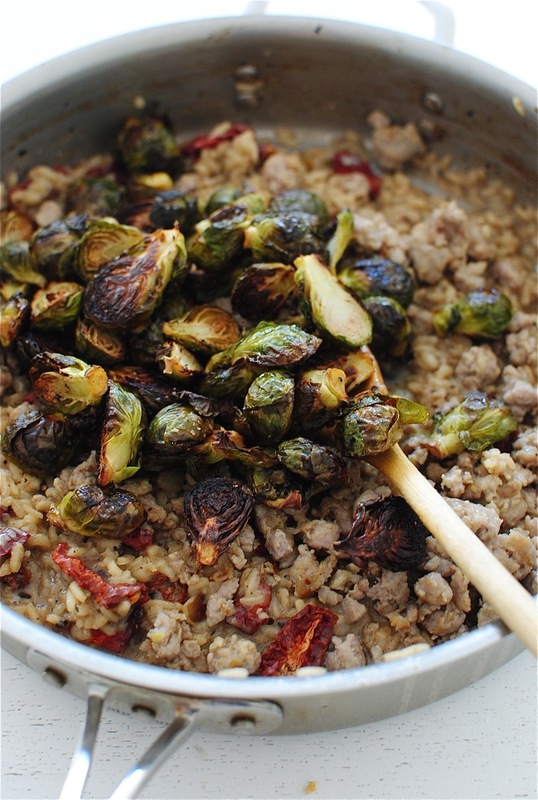 Stir in the reserved sausage, roasted brussels sprouts and sundried tomatoes. Season with salt and pepper, and serve with extra parmesan cheese! *once you add everything, and you feel you want it just a tad soupier, add a little more water or stock to thin it. I didn’t this time, and loved the thicker risotto just as much. Boom. Don’t forget, “autumn” means “eat risotto.” But the site’s still not working, so . . . I don't make risotto nearly enough evidently. This needs to happen. I totally need more risotto in my life. You always crack me up, Bev! I so look forward to reading your posts! 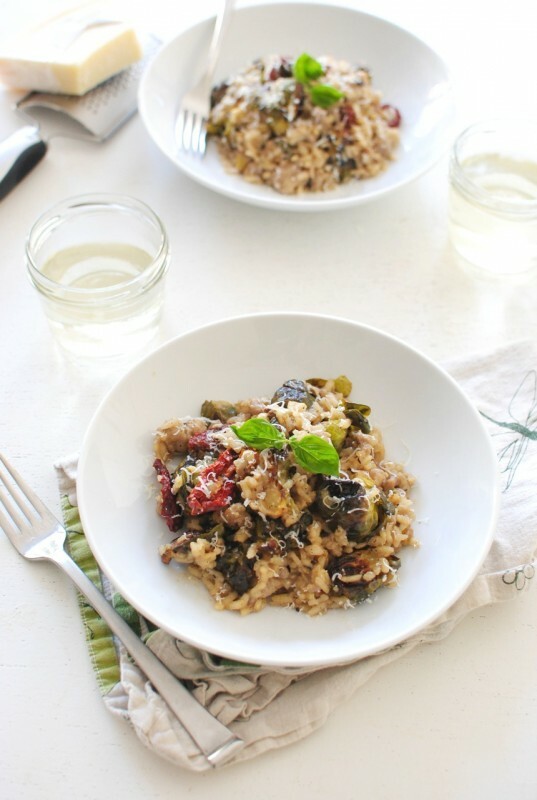 This risotto looks absolutely delicious!! Pinned! I finally understand the true definition of autumn. Obsessed!! I can't handle this: "Did you know that in ancient times, “autumn” actually translates to “eat risotto?” I CANT WAIT TO MEET YOU!!! I'm going to be a crazed lunatic pretending to be calm and relaxed. I looked it up and you are correct. 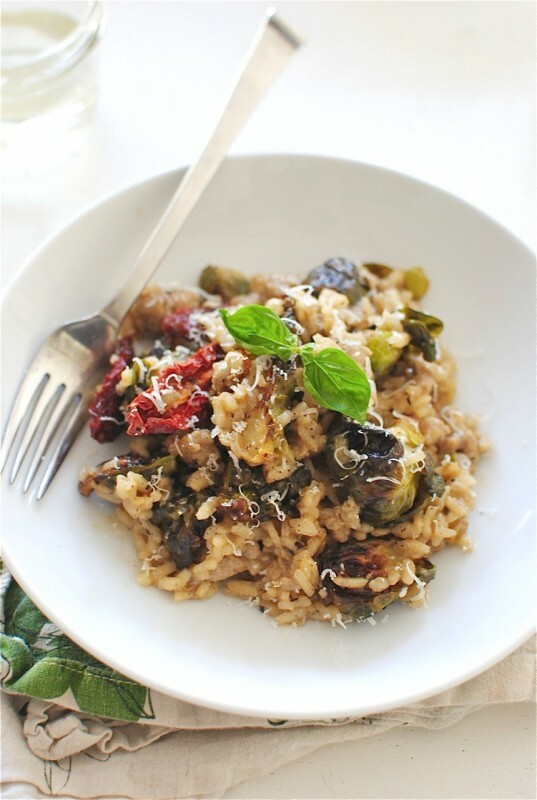 Autumn DOES mean eat risotto. I think we should form a coalition and spread the true meaning of the word Autumn so that the masses start downing some 'sotto in mass quantity. I'm pretty sure world peace would follow. I'm so excited to make this. 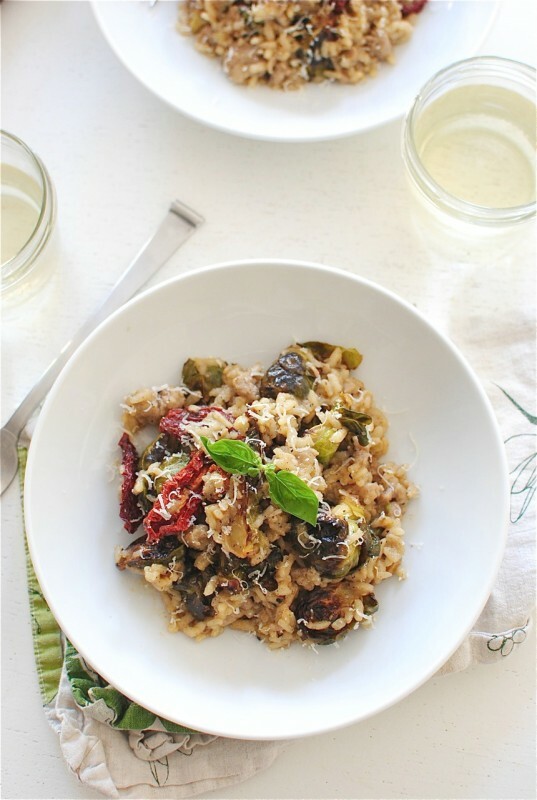 Your risotto recipes are always a hit at our house :) P.S. I'd love to know what you're making for your little ones to eat. 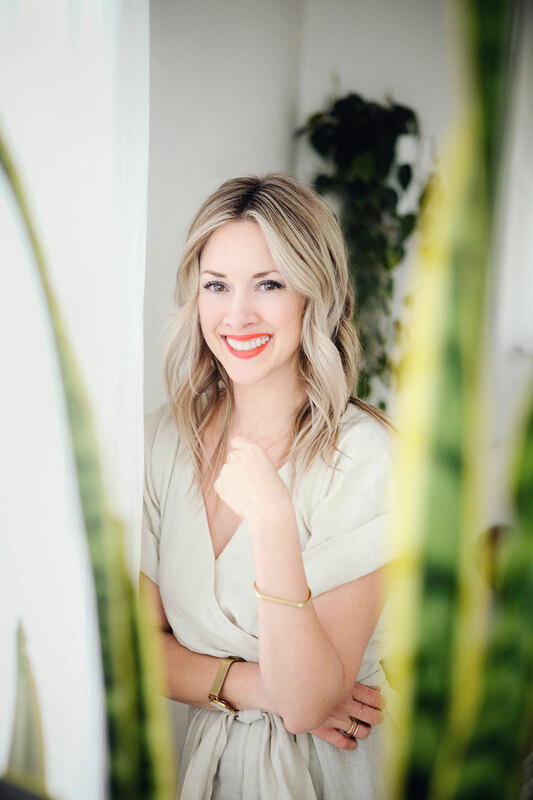 Hint, hint - upcoming blog post? I have a 9 month old daughter and I really enjoy making her food. I've been thinking about doing one! I do all kinds of things. Banana and avocado (guacanana as I call it), sweet potatoes and apple sauce. I'll do a post on it in October! um this is happening. stat. some of my favorite goods. bruselsss!!!! I'm totally digging that translation. Pass a plate my way. Brussels are my life. Need this now. Oh wait, i'm on a diet. But I also really want a margarita. ugh. Life. PS - the twinsies are so freaking cute I can't even take it. Just made this tonight. This dish was amazing!! I used Trader Joe's Bavarian Sausage, it all turned out great! Thanks for the recipe I will be making this again. I LOVE this risotto! I haven't made it since last winter and forgot how amazing it is. Wow! I could eat the whole pot.